Chatbots have been growing in use over the last few years and, if the trends are anything to go by, this growth is only going to continue. It’s not unusual to jump onto a website these days and be immediately greeted by a chatbot that wants to help you out. Chatbots are seen as a way to reduce the workload of frontline staff by acting as a customer support agent, dealing with some of the simpler inquiries that come in. Customers like chatbots because they are immediately available and can process requirements quickly. Agents like chatbots because they remove repetitive tasks and allow staff to work on more complex tickets. Below, we look into why there is so much love for chatbots from both sides to help you decide if implementing one on your IT service desk is the right way to go. Is a Chatbot Right For Your IT Service Desk? 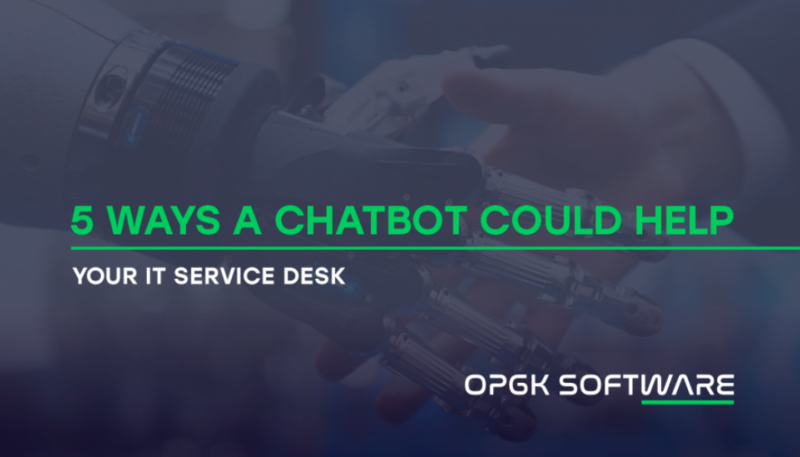 If your organization’s IT service desk is suffering from a growing workload, agents completing mundane, repetitive tasks, or customers complaining it takes too long to get hold of anyone from support, then a chatbot could be just what you need. If your organization’s IT service desk is swamped with tickets then it’s likely you’ll be interested in any solution that claims to be able to reduce your ticket load. If this is you then read on because a chatbot can do exactly that and, when implemented correctly, the results can be quite significant. 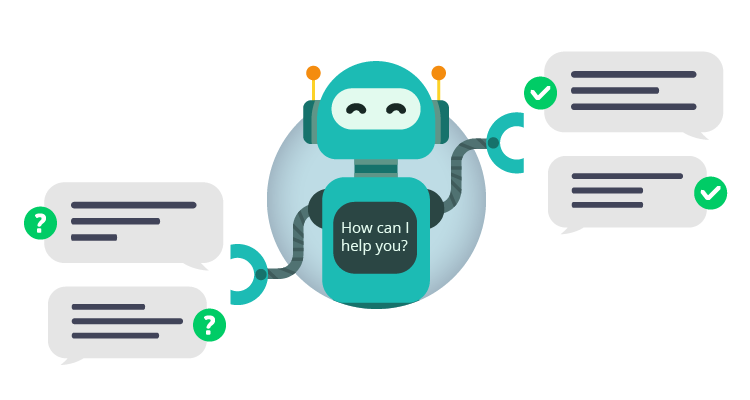 A chatbot becomes the first point of contact between your customer and your IT department and will be able to answer inquiries quickly and accurately. Let’s say your customer is contacting the IT service desk because they want to connect to VPN for the first time but they aren’t sure how to do this. Instead of logging a ticket with the desk to get assistance, they simply speak to your chatbot who can direct them to the relevant knowledge article, no ticket creation required. Have a think about all of the simple incidents and requests that your IT service desk agents deal with on a daily basis such as the one above. Now imagine the number of tickets that would disappear if each of those requests were to be handled by a chatbot. Pretty good, right? One of the most important measurements for an IT service desk is customer satisfaction. The service desk exists to support its customers so if they’re not happy with the support they’re receiving then the service desk is doing something wrong. Not being able to find the information they need, not being able to get hold of someone quick enough, or having no support out of hours. These are all common customer complaints that might be helped by the implementation of a chatbot. Chatbots can deal with incoming incidents and requests efficiently, often providing the user with what they need instantaneously. Instead of waiting for an agent to manually pick up their ticket the customer gets what they need right away. If the issue is more complex the chatbot can pass the customer through to an available live agent, or even log a ticket itself and triage it to the relevant support team. Chatbots can help you to exceed your customers’ expectations by giving them a fast and accurate support experience. Because chatbots can handle the simpler inquiries that come into your IT service desk some customers won’t even need to pick up the phone. Instead of waiting in a queue they can simply jump online and speak to your chatbot who can help point them in the right direction. Instead of your IT service desk agents being bogged down with menial tasks like logging tickets or answering basic technical questions they can be free to answer the phone to those with more complex issues. In turn, this creates a more challenging working environment for your IT service desk staff which is a great way to increase motivation and make agents feel worthwhile. Chatbots can deal with simple incidents and requests quickly and efficiently. They can understand how to log tickets, where tickets need to be sent, and even which ticket types will need to be escalated. Because of their ability to process information quickly, chatbots can save your organization heaps of time in support. Instead of your agents having to focus on smaller tasks that don’t add value they can be freed up to fix the more challenging issues and chase those tickets that require vital updates. If your IT service desk suffers regularly from ticket backlogs, too many phone calls, or lengthy resolution times, you could use that saved time to target these problematic areas. Chatbots can work for you around the clock so if you’re a smaller organization that doesn’t have an IT service desk that’s open 24/7, you can use a chatbot to offer support even after your IT service desk agents have left the office. A chatbot will never ask for a holiday, sick days or lunch breaks, and the quality of work will never suffer. If your organization receives negative feedback about the opening hours of the IT service desk from customers then you could consider implementing a chatbot to help you out. When implemented correctly a chatbot has the potential to really add value to your IT service desk, helping both staff and customers alike.  If you’re looking for a tool that will help you to save time and money, and increase the satisfaction of your customers and agents then a chatbot can do the job. Mint Smart Assist is the chatbot that assists our application, Mint Service Desk. The chatbot has the ability to monitor, track and provide information about your IT problems and assets, helping you to target and resolve issues faster. If you want to find out what other features Mint Service Desk can offer your organization, visit our website.